Sponsors are an important part of any event or function, putting in mind that they play a crucial role in provision of financial or logistical support in return for their names to receive highlights in the event. 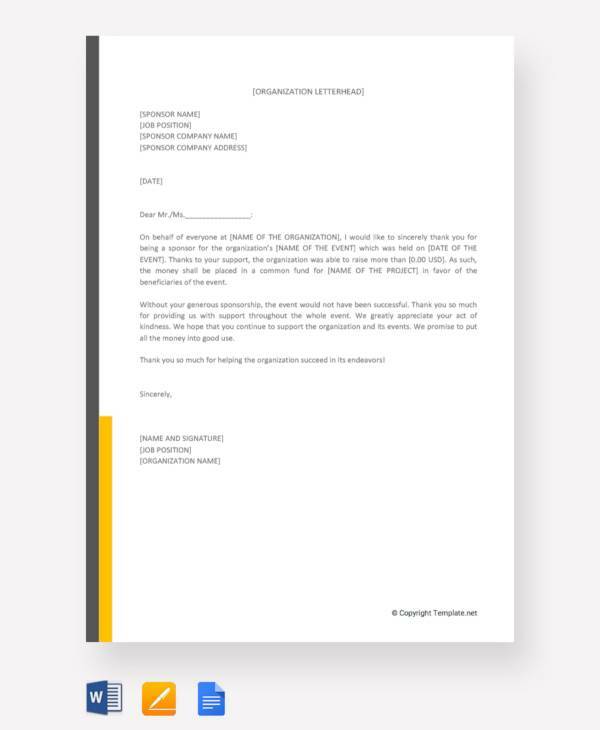 One thing that human beings may be so poor at doing, or generally too forgetful to remember is writing a Thank You Letter Format note template to the sponsors at the ending and closing of the event or program. Whether providing logistical or financial support to events or other programs notes are an effective tool that lies in waiting at the end of the time and here is why. 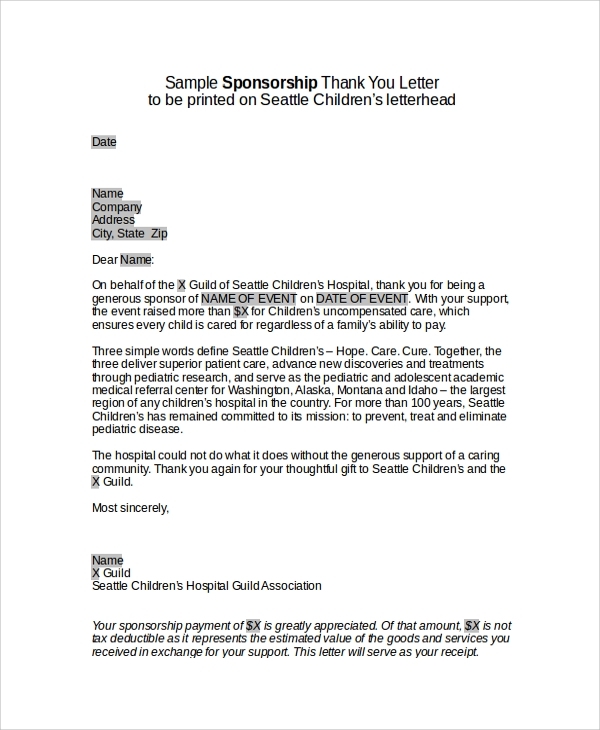 This sponsorship letter is to seek donations and sponsorship from clients and potential investors to incur the several medical expenses of the institution for children. He thank you letter is to showcase your gratitude for the contribution. 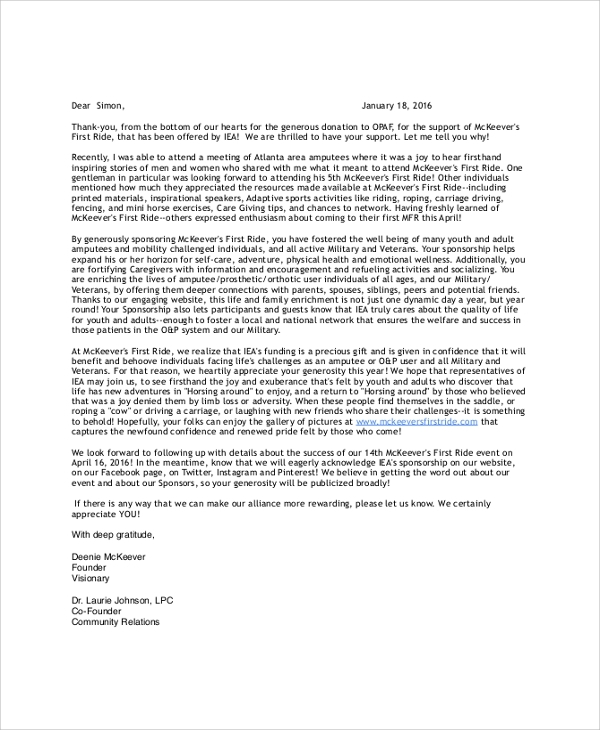 A thank you letter is not just to show your gratitude but also to build a longer relationship between the donor and the brand/institution/group. Angel donors and certain organizations aim to sponsor special student from time to time. If you have received such a unique donation, here’s a way to thank your sponsor. Co-sponsors need to be shown as much appreciation for their contribution as the main investor. Here’s the ideal way to go about writing a thank you letter. Any generous donation to your cause/project is to be appreciated by a thank you letter. Here’s a format about what to write and go about it. 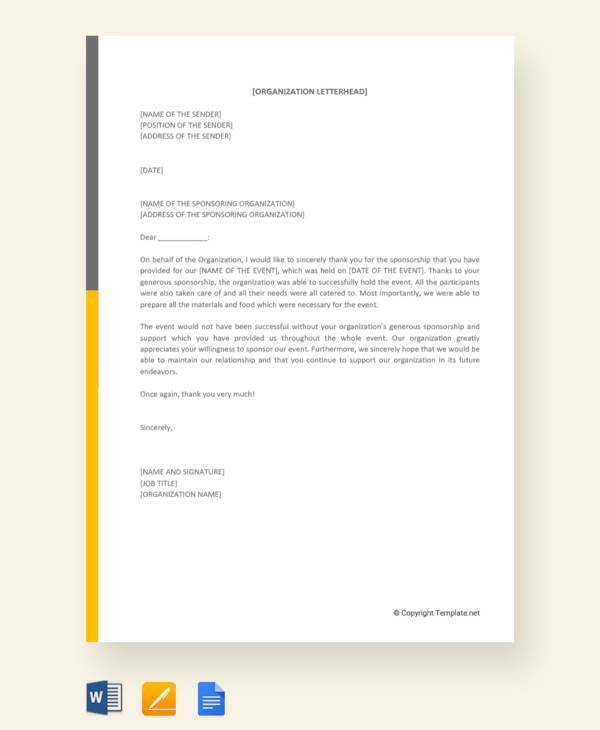 Thank You Letter to Sponsor– This template is meant to appreciate a sponsor who has already banked their cheque to your organization. It aims to brief them on the money received and how it will be used. 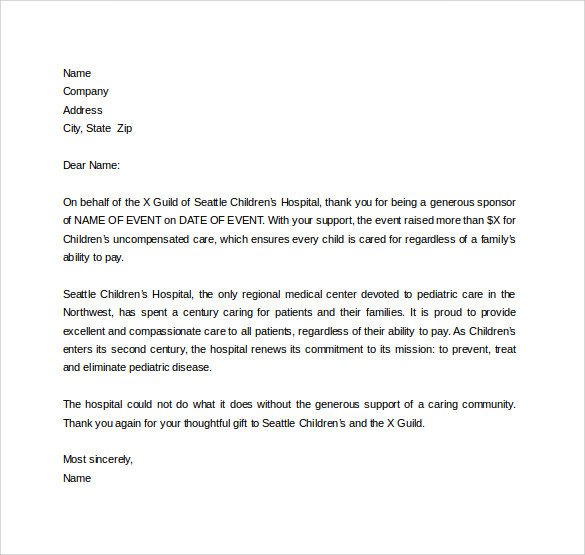 Event Sponsor Thank You Letter- An event sponsor thank you letter is meant to thank a sponsor who funded an event. It could be a children’s or environment aimed campaign. A simple appreciation after a kind deed goes a long way in maintaining meaningful relationships. 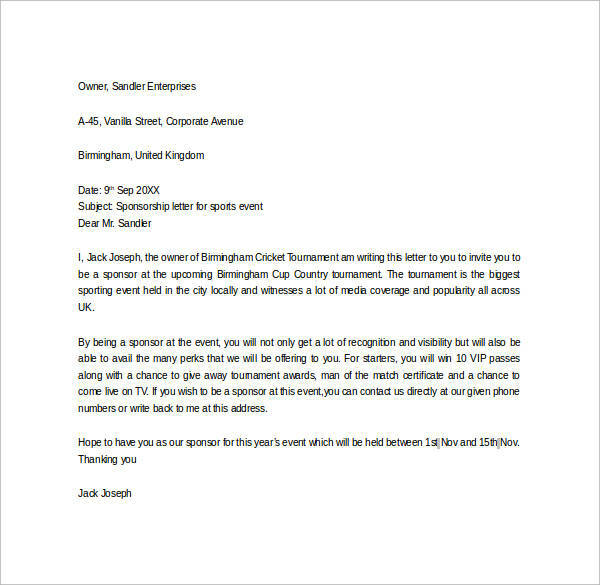 A sponsor thank you letter is a brief note written to sponsors of an event after a successful event. As much as the deal is usually mutually beneficial, it is important to appreciate the sponsor for gracing the occasion. 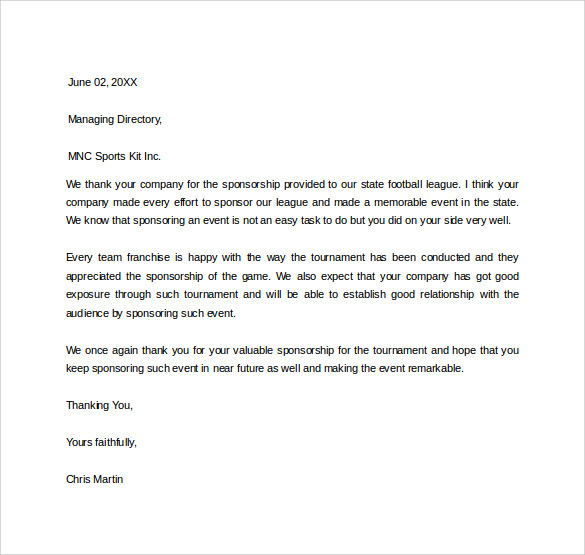 There are a number of uses of sponsor thank you letters. Sponsors require knowing the impact of their aid to any project. A thank you note is a great way to kill two birds with the same stone. It is used to cement strong relationships between various organizations and keep them updated on the progress of events. 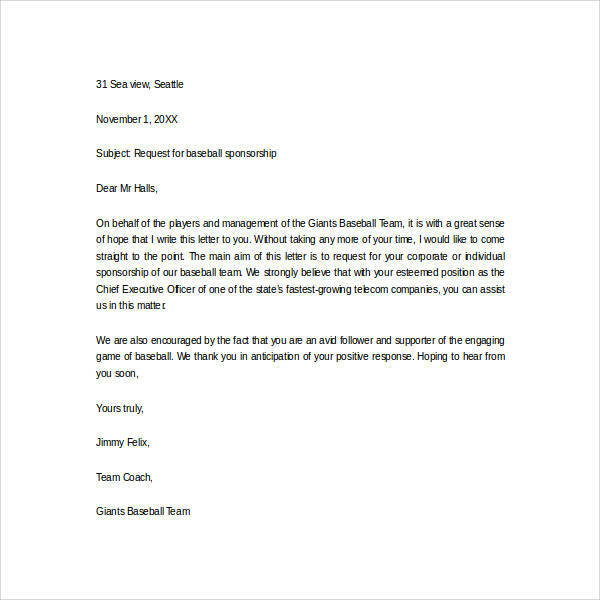 This template is used to thank a sponsor who has agreed to be on the bandwagon of supporting an organization financially. The note details further information on the happenings of the occasion. 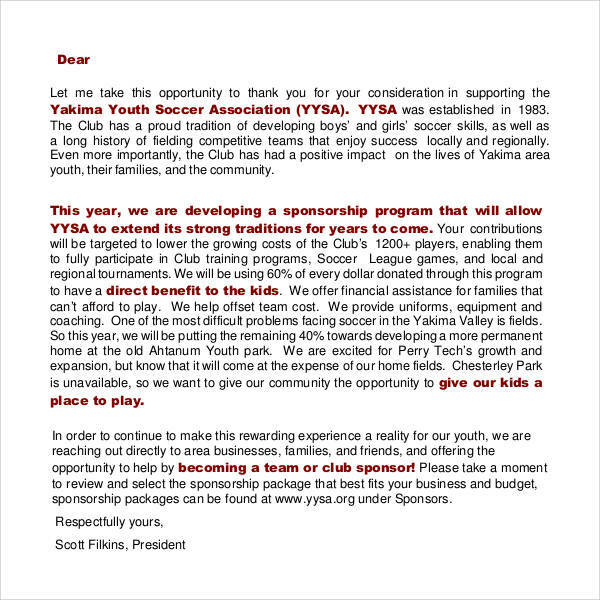 This editable format letter is used to appreciate a long-term sponsor for the continued support. Besides the appreciation, it keeps the sponsor informed on key happenings in an agency. 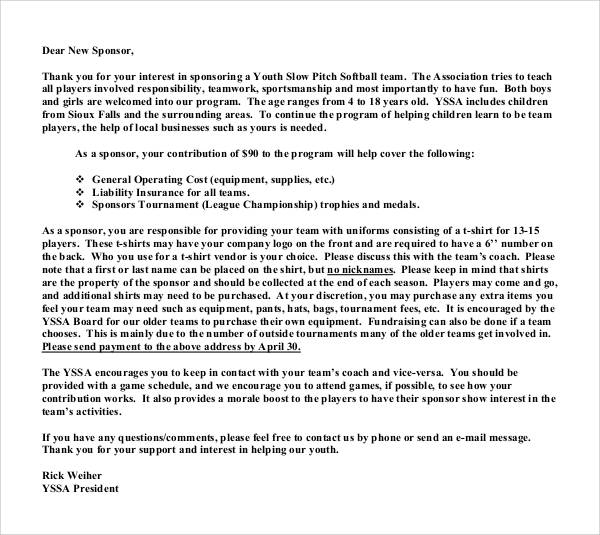 Listed below are the different types of sponsor thank you letters. 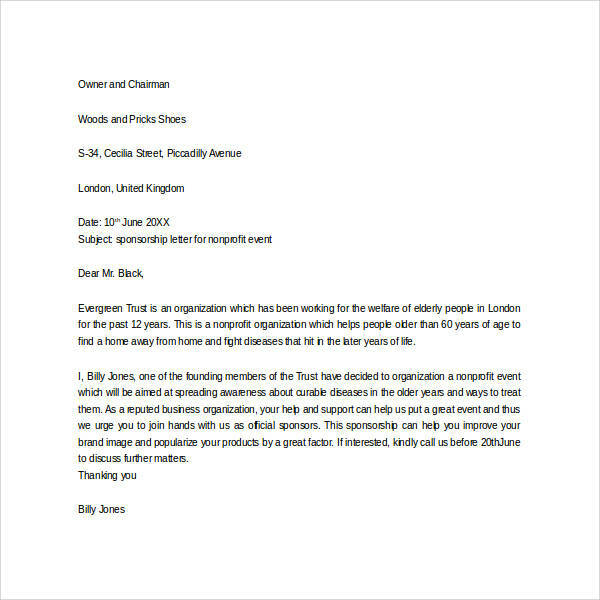 Sponsor letters can either be requesting a sponsor to finance an event, or responding to an organization’s initiative to sponsor an event. One can use a specific format or write a sponsor thank you note informally. 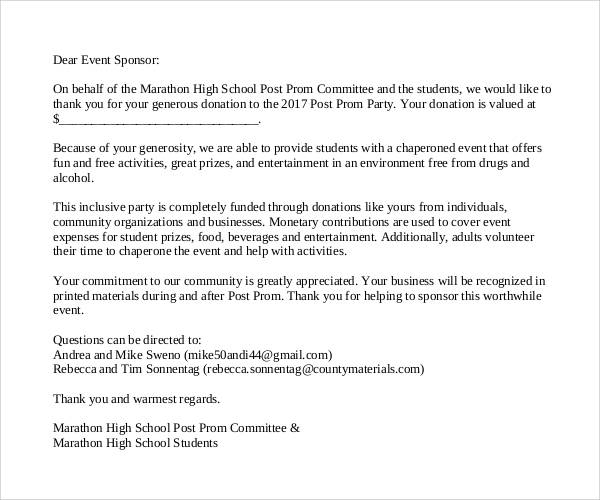 Wondering what the purpose of writing thank you letters to sponsors is? Well, take a look. 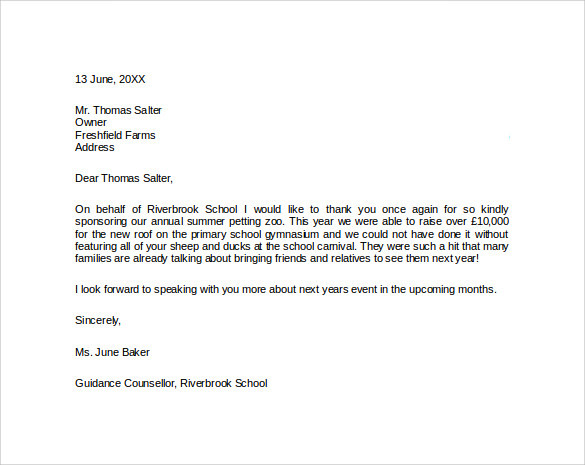 A sponsor appreciation letter not only aims at appreciating the sponsors but also marks the beginning of a new rapport. The end of a successful event should actually be the beginning of a great relationship, which could culminate in a greater vision. Many organizations are fond of supporting sports team. 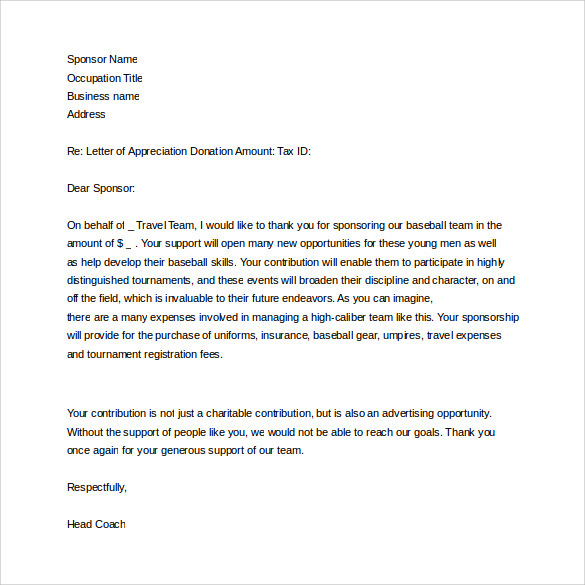 This sponsor thank you letter for baseball template for example can be used to show the sponsors their value and impact of supporting sports. This pdf template can be used to appreciate any kind of sponsor. Be it an educational sponsor, event sponsor or any financial aid donor. It aims at steadily informing them of the progress and impact of the sponsorship program. This template is editable and can be used to thank any sponsor. 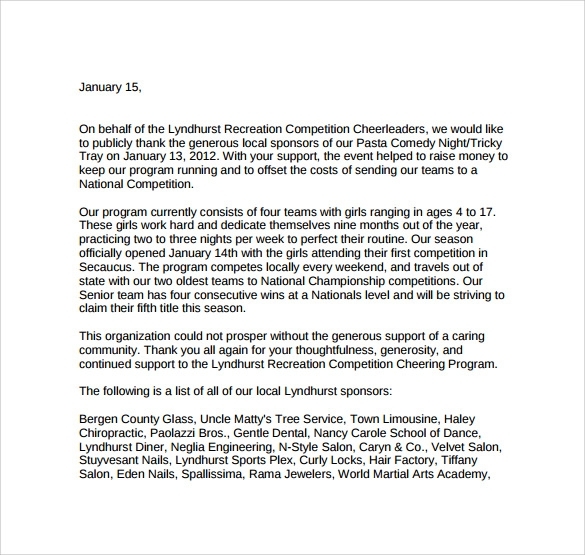 To detail the note further, the template can list other sponsors that are supporting the team. 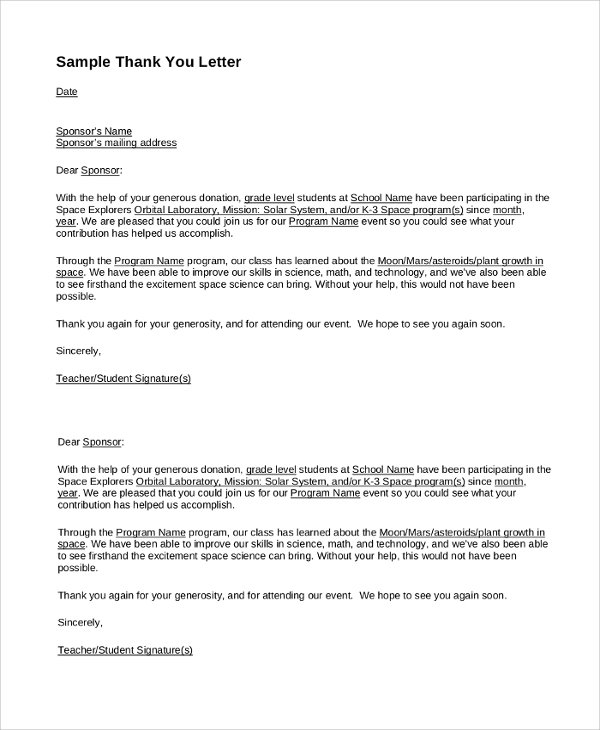 How to Create a Sponsor Thank You Letter? 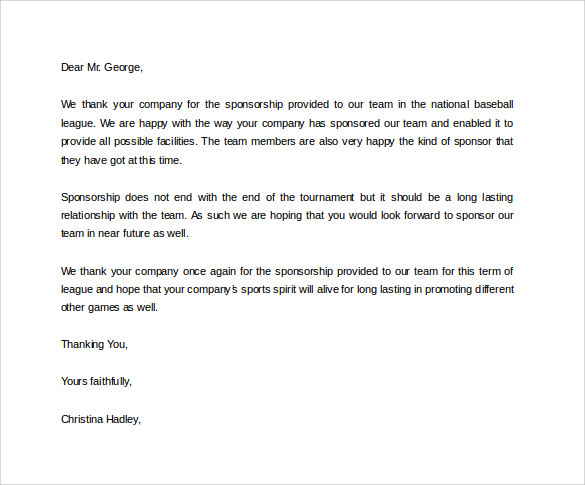 When it comes to writing a thank you letter to a sponsor, you need to be specifically careful about the wording. You have to quote your gratitude and appreciation in a professional manner, in order to design an impressive draft. You need to understand that it is the quality of this letter which will encourage the person for future participation in the various causes. A sponsor thank you note is an appreciation for a meaningful gesture. The tone of this note should therefore be sincere and humbling. 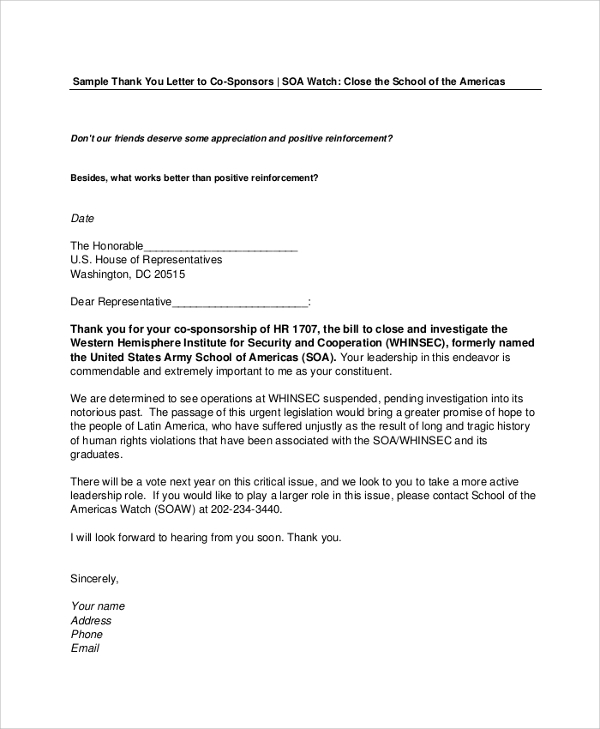 The letter should be brief with information about an organization, and progress of the sponsored course. Use top-notch grammar to express your appreciation. Ensure that any names associated with the sponsors are spelled correctly in the sponsor’s order of preference. Whether you are writing a sponsor thank you letter for academic support offered, assistance in certain event or just as a complimentary message for his interest, you can surely do with these tips. Make sure to write it without any delay as a late appreciation is not valued. 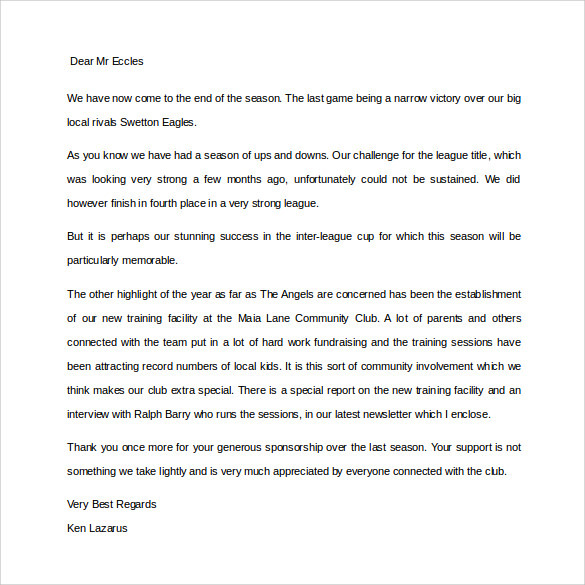 Proofread the letter to ensure that there are not any errors. Break the content into shorter paragraph to enhance its readability. This template is downloadable and can be used for a detailed appreciation. 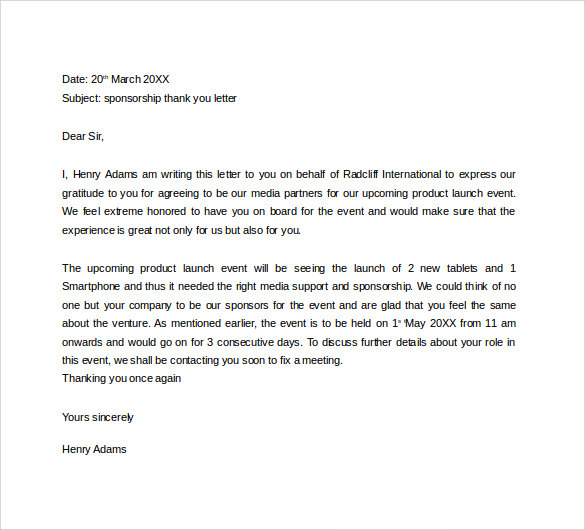 Besides thanking the sponsor, the note illustrates to the sponsor how their advertise their brand was used in the corporate world. 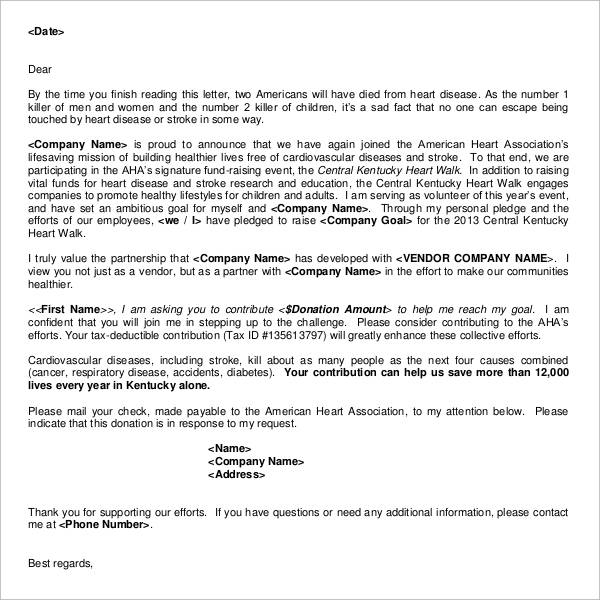 This is a free downloadable template used to appreciate a sponsor for donor service funding. This format is used as a thank you letter to a regular sponsor. 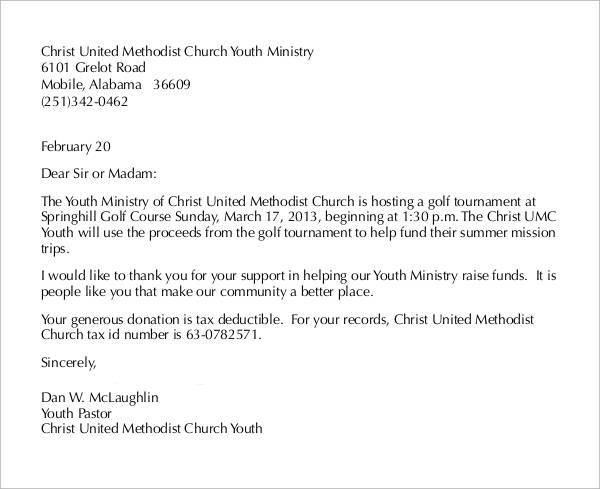 This can be used for sponsorship programs like education or sporting activities. 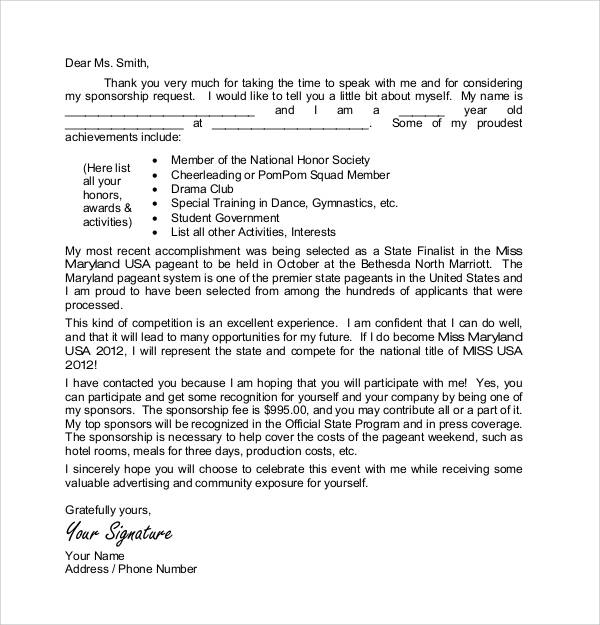 How to Write a Sponsor Thank You Letter? It is very important to write a thank you letter to the sponsor be it for accepting an invitation, post attending of a function or in recognition of his contribution to a cause. This should be written in a rather professional manner. Not sure how to do this? Here’s how. At the top, give you name and address. This should be followed by the date. Below this, give the name of the sponsor and other details. Make sure that the letter is not too long. Start off by mentioning the reason for writing the letter followed by your appreciation and your gratitude. Try to break the content into smaller paragraphs such that it is readable. The relationship between sponsors and their clients do not start and end with the latter banking the support of the former. This is just but a tip of the iceberg; reception of support should serve to lay ground for an even more enchanting long-term relationship. 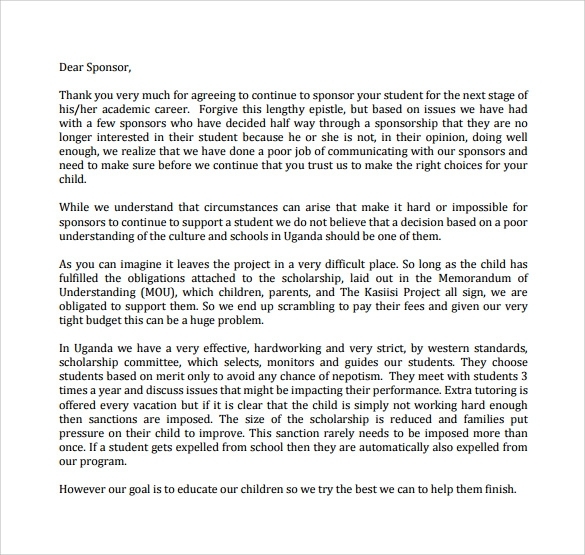 A official thank you note to the sponsor allows you to spell out your appreciation, highlight the ways in which their help was of importance and probably give an opportunity to encourage the sponsors to do more. One may also take short time to indicate and reply to the sponsor how their resources have been utilized, not that it is a follow up process but rather a show of good manners in demonstrating accountability with resources. 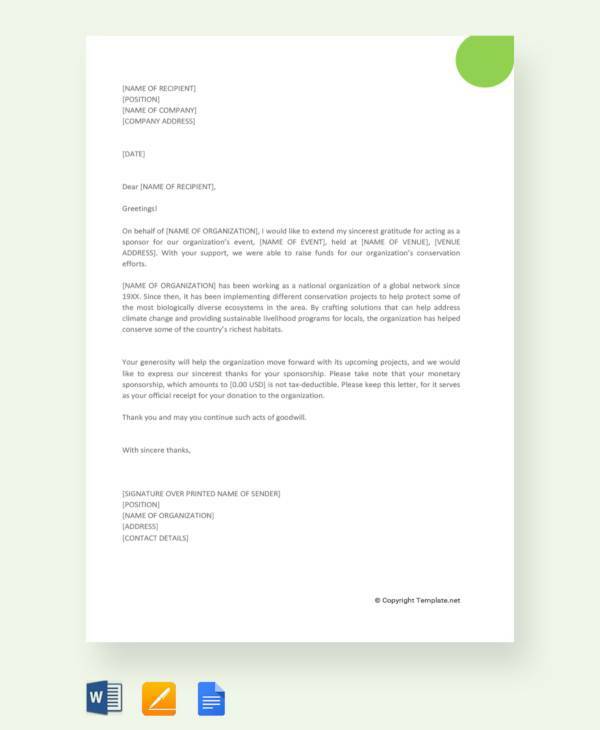 A look at sponsor Thank You Letters templates indicates that there is no rule in whether you have to go formal or informal; it all depends on the relationship between the addressee and the addressor. 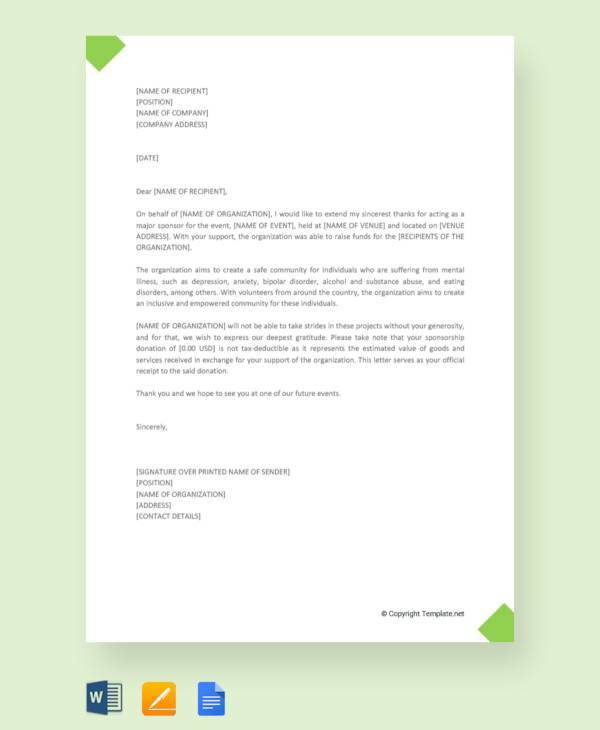 You may write your letter manually, but if you want tom portray a more business like posture, you can choose to borrowing equipment or borrow a leaf from printed templates.